Mudrooms are one of the busiest rooms in the home and as a result, they can also become the messiest. To ensure your mudroom stays organized all year long, we’ve put together the four storage essentials for a completely efficient space. Every functional mudroom needs a place to store shoes for every occasion. 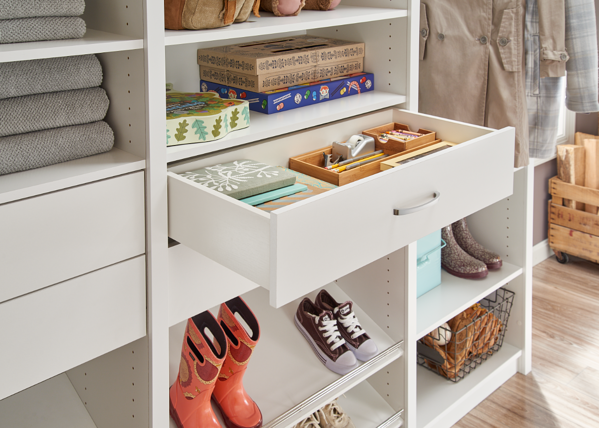 Adjustable shoe shelves are perfect for matching heights with boots, sneakers, heels, flip flops and more. Small, everyday clutter can create more visual noise in a mudroom than you would think. Instead, keep miscellaneous items like keys, mail and craft supplies neatly tucked away inside drawers. 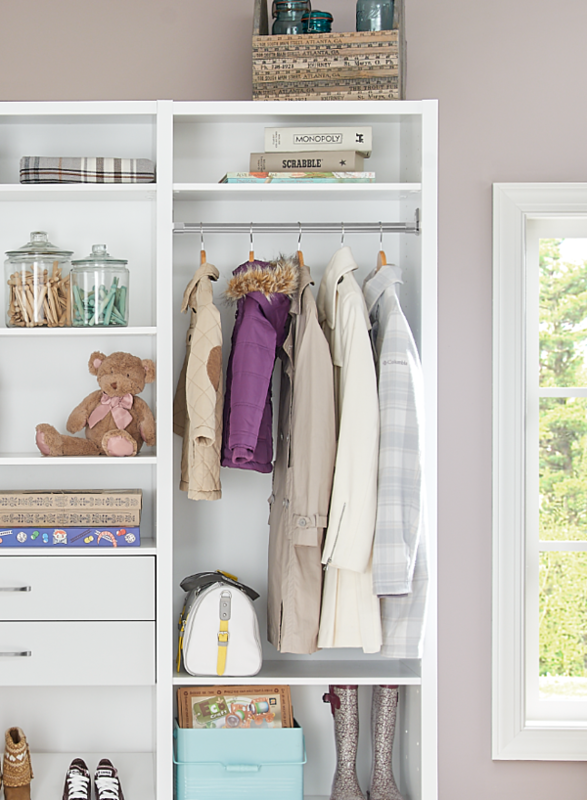 No matter the season, it’s important to have a dedicated spot in the mudroom to hang all kinds of outerwear. This will also help with the cleanliness of your space by allowing coats or jackets to properly air out all year long. Since your mudroom is the first room you enter, chances are this room will see a lot of outdoor messes. Whether you need to clean off muddy shoes or grassy sporting equipment, keep extra linens in an easily accessible place to tackle the mess before it gets into the rest of your home. 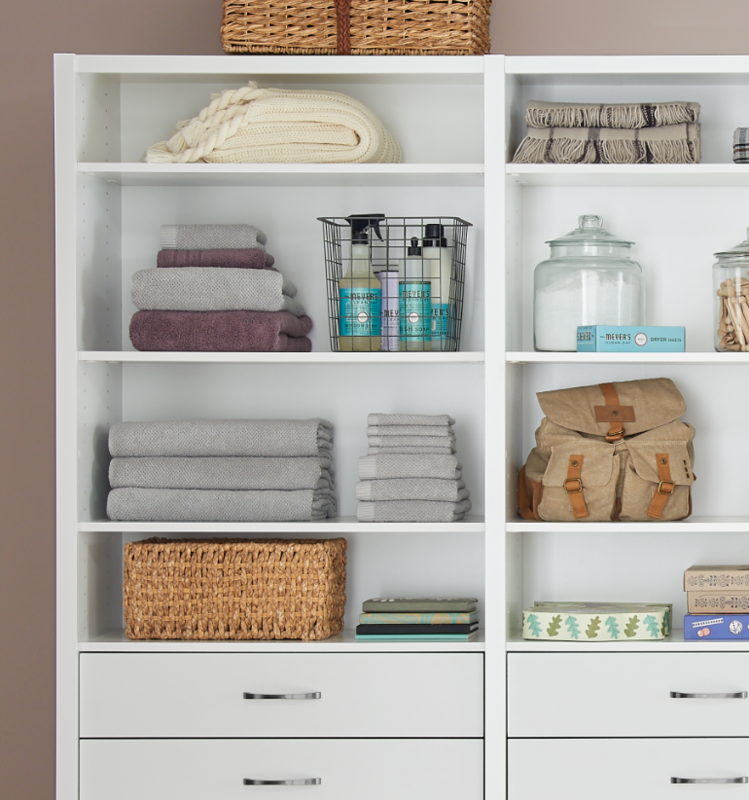 Ready to start organizing your mudroom? 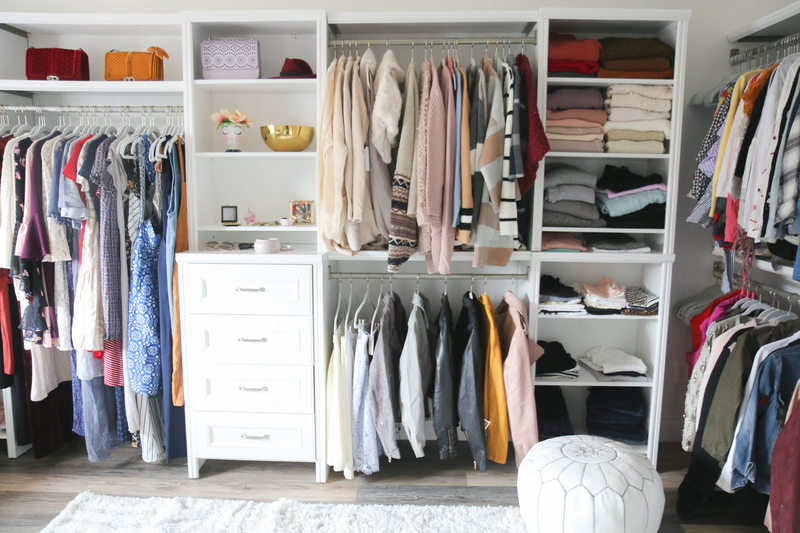 You can shop the exact SpaceCreations Classic White Mudroom Kit that was featured in this post here, or explore more storage ideas on ClosetMaid.com and all our other channels: Facebook, Twitter, Instagram, Pinterest, YouTube, Houzz and Flickr. 0 Comments on "Anatomy of a Functional Mudroom"